Saratoga Springs, N.Y. native John Witt, president of Witt Construction, has achieved wide recognition and high honors, both regionally and nationally, among clients and peers, for his distinctive designs and superior home construction across the Northeast. Witt’s passion for architecture was fueled between 1970 and 1988, when, as a member of the World Cup Tour U.S. 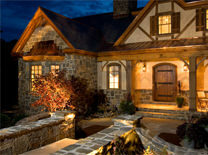 Ski Team, he traveled across the U.S. and around the world, taking advantage of the serendipitous opportunity to observe and study both classic European styles and traditional and contemporary American home designs. 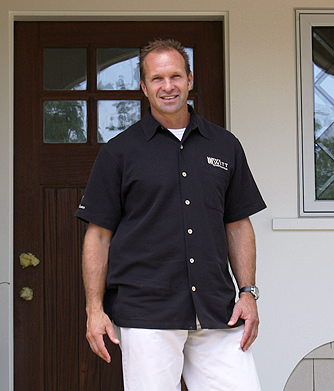 With that foundation of experience and appreciation, in 1989 Witt founded Witt Construction, Inc., to bring his insight and vision into the custom-home marketplace. Uniquely skilled and meticulous in his research and execution, Witt has earned a stellar reputation for building homes that are balanced and imaginative, reflective of his ability to interpret an original concept, co-created by him and his clients, through the highest quality materials and craftsmanship. A signature Witt home is notable for elegance, spaciousness, warmth, comfort and functionality, as well as for its individuality as an extension of the lifestyle, needs and desires of the homeowner. With Witt at its helm, Witt Construction, Inc. has won multiple national awards for residential design and has been featured in numerous national publications, including Better Home and Gardens, Professional Builders and Builder/Architect Magazine, and won many industry awards, including from the National Association of Home Builders and Professional Builders, Best in American Living, Saratoga Showcase of Homes, New York State Historic Preservation Award and Saratoga PLAN (Preserving Land and Nature). Witt continues to be active in the Saratoga Springs community, serving in the past as a board member for the Saratoga Springs Preservation Foundation, as well as president of the Saratoga Home Builder’s Association, where he initiated the Showcase of Homes, which successfully raises money for local charities. He works closely with volunteer organizations such as Habitat for Humanity, Saratoga PLAN and the National Museum of Dance, and has held several fundraisers for the Double H Ranch, a camp for children with severe illnesses and disabilities. He also has donated significant land as open space to be forever wild. Witt’s business interests include land development, investing in rental properties and pioneering mixed-use communities, and he has formed several subsidiary companies, including ANW Holdings, Inc., Excelsior Park, LLC, Witt Stephens, LLC and Rent-It, LLC. He has a long-term commitment to the robustness and beauty of the extended regional community, both as a proud resident and a successful business owner. A conscientious builder and an active participant in many aspects of the Saratoga region community, Witt is also devoted to his daughter, Aspen, a University of Vermont undergraduate. In his rare, but precious free time, Witt enjoys skiing, cycling and golf.